Ripley's Aquarium of Canada 30% off online express anytime tickets using code CYBERM18. Buy today and visit before December 31, 2018. Sephora 50% off select tarte palettes on November 26 + more! Victoria’s Secret Free Tote With $75 purchase using code CYBERTOTE + free shipping on $30 using code SHIP30 + 10% off $100 using code CANADAGIFT + more! Prices in USD. Yves Rocher up to 60% off on now + 15% off using code 15ROCHER + more! AliExpress Black Friday deals are now LIVE! Amazon.ca Black Friday deals are now LIVE! Bed Bath & Beyond Black Friday deals are now LIVE! Entertainment 40% Off All 2019 Coupon Books with code FRIDAY + Free Shipping from 9PM November 21 to 12pm EST November 25. Prices in USD. Lululemon Black Friday deals are now LIVE! Newegg Black Friday deals are now LIVE! Sony PlayStation Network Store Black Friday deals are now LIVE! Think Geek Black Friday deals are now LIVE! Prices in USD. 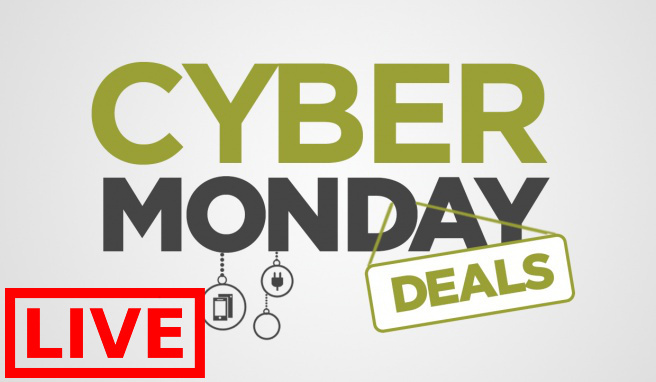 Udemy online courses for only $12.99 now through November 27. Buy one on Black Friday (November 23 to 24), get one FREE on Cyber Monday (November 26 to 27) using promo code UDEAFFBF18. Victoria’s Secret Free Tote With $75 purchase using code FRIDAYTOTE now through November 23 + free shipping on $50 using code SHIP50VS and 10% off $100 using code CANADAGIFT now through November 28 + more! Prices in USD. Peoples Jewellers Canada Black Friday Sale Starts Today: Save 25%-50% OFF Everything! The Black Friday sale at Peoples Jewellers Canada has begun! You can save between 25% to 50% off on everything! Not to mention, you can save up to 50% off on over 300 styles, including bracelets, earrings, rings and more. Both offers are valid for a limited time only, while quantities last. This Open Hearts Family by Jane Seymour Diamond Accent Sideways “MOM” Bracelet in Sterling Silver – 6.25″ is on sale for only $99.50. You’re saving $99.50 from the original price of $199.00! Expertly crafted in sleek sterling silver, this bracelet features the word “MOM” spelled out in a flowing print font. At the centre of the heart-shaped “O”, the iconic open heart design, adorned with shimmering diamond accents, catches the eye. 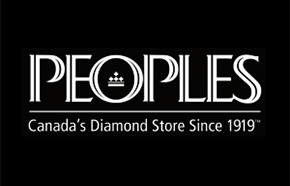 Peoples Jewellers Canada offers FREE shipping when you spend $199.00 or more. 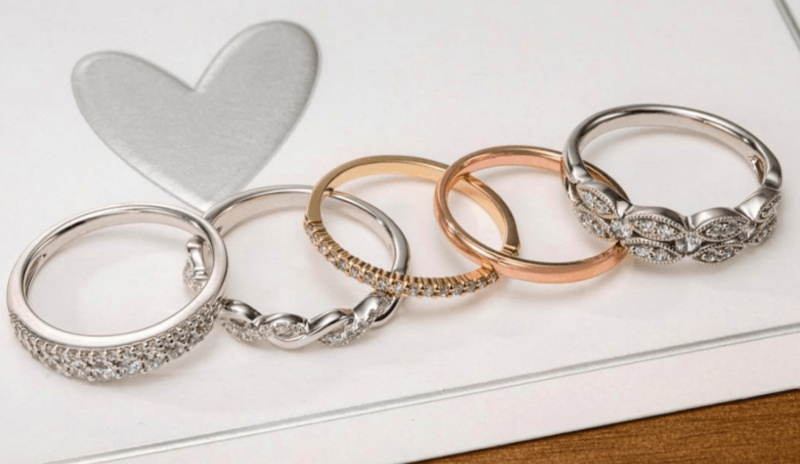 Click here to start shopping at Peoples Jewellers Canada. Addition Elle 40% OFF Everything + Extra 60% OFF Sale Items. End Nov 24. Adidas Extra 50% off outlet + 25% off full price items. End Nov 26. Aerie 40% off + free shipping on The Collection. Air Canada Black Friday deals are now LIVE! Ardene Save Up To 50% Off Everything & Free Shipping On All Orders. End Nov 26 at 5pm ET. Armani 15% off orders of 2 products or more (including gift sets) using code ARMANI15. Ends Nov 26 3AM EST. Babies R Us Black Friday flyer now available! Bad Boy Black Friday flyer now available! Banana Republic 50% off regular-priced items. Ends Nov 25. Bass Pro Black Friday flyer now available! Bench 50%-70% off entire site. Ends Nov 26. Bentley 30% off site wide + Door crasher items! Use code BENTLEY17. Some Exclusions Apply. End Nov 26. Biotherm 20% off all orders (excluding gift sets) using code BLACKFRIDAY. Ends Nov 26. Bowflex save big, get free shipping and a free mat on many exercise equipment using code: BLACKFRIDAY17. Ends Nov 26. Buffalo David Bitton 50% off everything + extra 50% off sale. End Nov 26. Cabela's up to 65% off. Canon Up to $750 off many products + FREE shipping on all orders. End Nov 27. Canadian Tire Black Friday flyer now available! Canada Computers Black Friday flyer now available! Carter’s OshKosh B’gosh 30% off entire site + FREE shipping on all orders using code BFSAVE30. Clarisonic 25% off Site Wide. Ends Nov 26. Clearly 15% off & free shipping on orders $89 on contact lenses using code CYBER2017 + 50% off and free shipping on glasses lenses using code CYBER17. Costco Black Friday flyer now available! Crocs 40% Off Sitewide + Door busters. End Nov 26. DC Shoes up to 50% off. Dell Black Friday deals are now LIVE! Dynamite 30% off on Regular Priced items + Free shipping on orders over $25. Ends Nov 25 at 7AM. Dyson up to $150 on Cord-free vacuums + $150 on Pure Cool Link Tower + many more deals. End Nov 26. EB Games Black Friday flyer now available! Ecco up to 50% OFF many styles + free shipping on all orders. End Nov 26. Eddie Bauer 50% Off using promo code DEALS. Ends Nov 24. Entertainment 40% OFF all books with Free Shipping or 40% OFF the Annual Digital Membership. Use Code: WOW40. End Nov 26.
eVitamins 20% off the most expensive item in the cart at eVitamins.com! Use code BLACK20. Ends Nov 26. Fabricville Black Friday flyer now available! Factory Direct Black Friday flyer now available! Foot Locker 20% off $99. Ends Nov 25. FOREO Save up to 25% off on select items using code: BFAFF17. Ends Nov 29. Forever 21 Up to 70% off + FREE Shipping on all orders. End Nov 24 at 11:59pm PST. Fruits & Passion 40% OFF all regular priced products (ends Nov 24) + Buy 1 Get 1 50% OFF all seasonal holiday products (ends Nov 26). G by Guess 50% off entire site. Ends Nov 30. Garage 40% OFF on regular priced items + Free shipping on orders over $25+. End Nov 27 at 7AM. Giant Tiger Black Friday flyer now available! GLOBO Shoes 50% OFF the Regular Price on All Reduced Merchandise. End Nov 29 at 3AM EST. Guess 40$-50% Off Entire Site + $5 Shipping. End Nov 25. Hatley Up to 70% off site wide. Ends Nov 27. HelloFresh 50% OFF your first delivery with code: BFAFF17. Ends Nov 26. Henry's Black Friday deals are now LIVE! Home Hardware Black Friday flyer now available! Hotels.com Black Friday deals are now LIVE! HS Sweden 40% off + free shipping on all orders. End Nov 26 at 7pm EST. ICE up to 80% off thousands of items. Ice Jerseys 20% OFF Sitewide using promo code: IJBF20. Ends Nov 26. Jean Machine 40% off everything including sale using code: BF40. Ends Nov 26. Kate Spade 30% off everything with code GIVEJOY + Ends Nov 26. Kerastase 20% off orders of $150+ (excluding holiday gift sets) using code FRIENDS17 + Enjoy a bonus gift with every $50 you spend using code KDAY. End Nov 27. Keurig 20% off coffee and accessories with code: BF17 + $40 off bundle that includes K200 brewer, Milk Frother and 48 K-Cup pods. End Nov 26. Kitchen Stuff Plus Black Friday flyer now available! Kiehl's 15% off on ALL orders or 20% off orders $150+ using code BFRIDAY. Ends Nov 26. Kobo Black Friday deals are now LIVE! L'Occitane Using promo code THANKFUL you can get: 7 Hand Creams for Only $25 or FREE with any $90 Purchase (ends Nov 25) + FREE 17-Piece Ultimate Black Friday Gift with any $170 Purchase (ends Nov 25) + Up to 30% off Holiday Gifts (ends Nov 29) + 50% off Advent Calendar (ends Nov 29). Lancome 20% off ALL orders (including sets) + exclusive gift with purchase ($160 value) on orders $125 + exclusive step up on orders $200. Use code BLACKFRIDAY. Ends Nov 26. Laura Up to 50% OFF + FREE shipping on all orders + 40% OFF all outerwear. End Nov 26. Leon’s Black Friday flyer now available! Linen Chest Save an EXTRA 30% on all BEDDING products + Save an EXTRA 20% on all OTHER products including those already on sale. End Nov 26. Little Blue House Up to 70% off site wide. Ends Nov 27. LivingSocial Black Friday deals are now LIVE! Macy's Canada 20% off Super Saturday & Last Minute Gifts with code GIFT. Ends Nov 24. Mark's Up to 70% OFF + FREE shipping. End Nov 25. Maurices Buy 1 get 1 75% Off Apparel and Accessories. Ends Nov 24. Melanie Lyne up to 50% OFF + 40% OFF all outerwear. End Nov 26. MenEssentials Black Friday deals are now LIVE! Merrell Up to 50% off Boots. Ends Nov 27. Michael Kors Up To 50% Off When You Take 25% Off Already-Reduced Styles. Ends Nov 28 7:59am EST. Michaels Arts & Crafts Black Friday flyer now available! Microsoft Store Black Friday deals are now LIVE! End Nov 27. ModCloth No sale, instead they donate a retail value of over $5 million in merchandise to Dress for Success. Nail Polish Canada Black Friday deals are now LIVE! National Sports Black Friday flyer now available! Nike Extra 30% off sale items using promo code BF30_CA. Ends Nov 25 at 2:59am EST. Old Navy 50% off entire purchase + 1000s of styles $10 and under. End Nov 24. Overstock Black Friday deals are now LIVE! Penningtons 40% OFF Sitewide + Free Shipping. End Nov 24. Peoples Jewellers 25%-50% Off Everything (ends Nov 27) + $50 off $300 or $100 off $400 or $200 off $600 using promo code TAKE200AFF (ends Nov 30). Perfect Lens 20% off contact lenses using code BFSL. Ends Nov 29. PetSmart Black Friday flyer now available! Pet Valu Black Friday flyer now available! PJ’s Pets Black Friday flyer now available! PRANA 15% off EVERYTHING with code BF15PRANA. Ends Nov 26. Pro Hockey Life Up to 50% off many items + up to $450 off skates + 50% off Reebok adult 7185 replica jerseys. End Nov 30. Protein World 40% off everything using code BLACKOUT. Purdys Chocolatier Black Friday deals are now LIVE! QE Home Quilts Etc. 50%-70% Off Designer Linens + Up To 50% Off Duvets + 40% Off Luxury Sheet + More. End Nov 29. Reebok 40% off site wide + Door Crashers Deals. End Nov 26. Reitmans 40% OFF Everything. Ends Nov 25. Reno Depot Black Friday deals are now LIVE! Rexall PharmaPlus Black Friday flyer now available! RONA up to 50% off. Ends Nov 26. Roots 30% off site wide + 40% off footwear + Six Nice Days deals. End Nov 28 at 10AM EST. RW&CO. 40% OFF Sitewide. Ends Nov 24. Saks Fifth Avenue Up to 60% off vast selections (ends Nov 24) + Free Shipping and Free Duties on ALL Orders to Canada + $25 OFF $150 or $75 OFF $300 or $150 OFF $500 on women's denim with code DENIM2017F (ends Nov 27). Shopper's Drug Mart - Beauty Boutique 20x the points when you spend $75+. Ends Nov 24. Shoppers Drug Mart Black Friday flyer now available! Shu Uemura 20% off $50 or 25% off $100 + FREE shipping on orders $75+. Use promo code SHUBF. End Nov 24. Silver Jeans 30% off everything. Ends Nov 26. Sleep Country Black Friday flyer now available! Solutions Black Friday flyer now available! Sony PlayStation Network Store up to 60% off games. Ends Nov 28 at 8AM PT. Souris Mini Up to 50% off more than 500 items. Ends Nov 27. Sperry Up to 50% OFF Best Sellers. Ends Nov 30. Staples RCA 60" 4K Ultra HD TV only $649 (ends Nov 24) + $50 Off Fitbit Blaze Fitness Tracker (ends Nov 27) + $80 Off Google Home (ends Dec 7) + MANY more deals! Staples Print & Marketing 50% off Photo Mugs + 50% off Lightweight Canvas Prints + 30% OFF Photo Gifts. End Nov 27. Steve Madden 20% off site wide plus free shipping using code BLACK. Ends Nov 26. Texture First 4 months of magazines for only $15. Ends Nov 24. The Children's Place 50% to 60% off entire site, no exclusions + free shipping. Think Geek up to 75% off. Thyme Maternity Buy 2, get the 3rd FREE + 50% OFF Sale Items. End Nov 24. Timex 25% Off SITEWIDE + Free Shipping using code BLACKFRIDAY25. Ends Nov 26. Toms 25% off many styles including sale items with code THANKFUL. Ends Nov 26. Toys R Us Black Friday flyer now available! Trade Secrets Black Friday deals are now LIVE! Trollbeads Buy 3 get 1 free on full price beads. Ends Nov 24. Udemy all online courses for only $15. Ends Nov 28. Under Armour Up to 40% Off + FREE Shipping. Ends Nov 27. Urban Decay FREE Shipping & 20% off everything OR 20% off + Priority Shipping (Freak members) OR 25% off (Rockstar members). Use code LETSCYBER (exclusion: sets, vaults, discontinued items). End Nov 26. VIA Rail Canada Black Friday deals are now LIVE! Vichy 20% OFF $50 or free shipping and 25% OFF $70 and a bonus gift on orders of $90. Use code FRIDAY. End Nov 26. Victoria’s Secret Free Black Friday Tote & Mini Bag With Any $75 USD Purchase using code FRIDAYPAIR (ends Nov 24) + 10% off $100 USD using code 10CANADA (ends Nov 29) + Free Shipping to Canada On $40 USD using code FREE40SHIP (ends Nov 29) + more! Weight Watchers 50% off 3 month or 6 month packages. Ends Nov 26. Well.ca up to 75% off on thousands of items + 25% off Skip Hop + 25% off S'well + $10 off $75 when you pay using VISA Checkout and use code VISA10. End Nov 27. WestJet Black Friday deals are now LIVE! Wicker Emporium 70% off furniture. York Photo Black Friday deals are now LIVE! Yves Rocher 50% off sitewide. Ends Nov 26. Yves Saint Laurent YSL 15% OFF orders of 2 products or more (excluding gift sets and Le Vestiare des Parfums Collection) using code YSL15. Ends Nov 25 3AM EST. 123inkcartridges 20% off + free shipping. Use code BF2017. Ends Nov 24. 1800flowers Canada 25% off the Holiday Collection with code CYBER25. Ends Dec 3. 2001 Audio Video Black Friday Flyer now available! We are excited to announce that the SmartCanucks Team has put together an outstanding and comprehensive list of Black Friday deals and sales for 2017! Please note that this list is constantly being updated as new sales come out. If we’re missing any deals or flyers please let us know in the comments and we’ll add it to the list. Happy shopping! Be the first to get the hottest Black Friday Canada 2015 deals!